You have to listen very carefully. This is a serious revelation. Yep. I have this emotion. Its called love. I’m passionate about things that others are not. I’m passionate about things that others are. Here’s the bigger problem, though. We don’t share our passions. We share our talents, which often coincide, but we don’t share things we love. Even sadder, is that when we do share something we love with those we love, often it is brushed aside and even laughed at. Why is it that we don’t care about each other’s interests? Why is it that we often ignore each other when we are pouring out our hearts? I, more than anyone, am guilty of this. Maybe you do listen to these loves. Maybe you learn to love them yourself. But I’m sure we have all expressed ourselves to others without receiving the reaction we were hoping for. I don’t have the answer to this question, and I’m sure you don’t either. It could come from a general lack of patience that we all struggle with. It could come from our self-absorbed human nature. Pick one thing from my list or someone who has participated in the challenge’s list and listen to it, read it, watch it, whatever the case may be. If you feel led, share your opinion! Try to find something about it you’d like to share! If you didn’t like it at all, then at least you’ve experienced it. I like soccer. WHAT!? Yeah, I know, major reveal here. 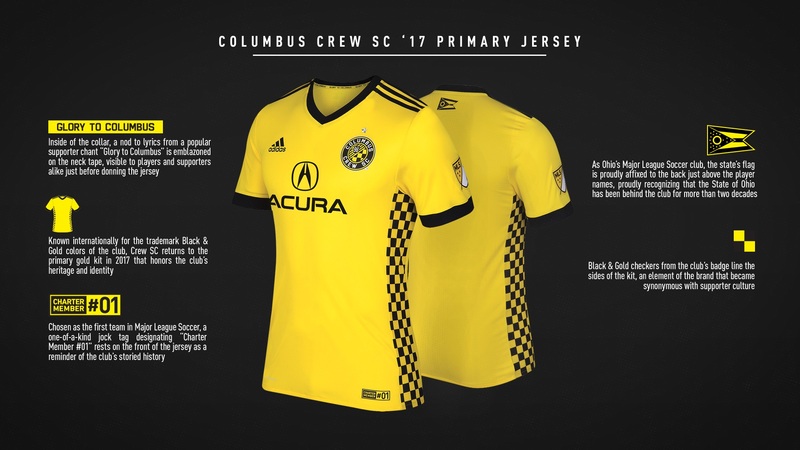 I could blab on and on and on about soccer, but for right now I’m just going to mention the major news in the soccer world right now, can we talk about the Crew’s new kits!? NUMBER THREE : I loveeeee All the Light We Cannot See by Anthony Doerr. I don’t know what it is about that book, but you should read it ASAP! Pentatonix. You think they’re great until you see them live. Then you know they’re great. NUMBER SIX : MUSIC! You can click here to find 209 of my all-time favorite jams! I could list all of my favorites for you, but as of now my all-time favorite song is John Lennon’s “Imagine” covered by Pentatonix. You have got to watch the video. I promise it will move you to no end. Also, I need your help! For those of you have been following my blog for a while, you’ll notice I changed the look, but I’m not sold on it yet! I’m starting to think I liked the old theme better, so if you could let me know what you think that would be awesome! I hope you all will participate in #OurSoulsOnFire! I’d love for you to tag me in your loves and passions. (Instagram : @soulonfire.blog // Twitter : @soulonfire_blog) I’m excited to expand my horizons and learn to enjoy some of the things you all love. Why would God give us opinions if He didn’t want us to share them!? I hope you all are living life and loving people. I cannot wait to see what your souls choose to share! I loved this Abby! So many good thoughts!! !